Perth Computer & E-Waste Recycling | 1800-GOT-JUNK? Technology makes huge leaps every year, and every year, millions of smartphones, tablets, computers, and televisions become obsolete. After you've upgraded to a new device, what do you do with the old? While it may be tempting to slip your old electronics into the weekly trash, this isn't the safest or most environmentally friendly option. At 1-800-GOT-JUNK?, we give you an easy solution for getting rid of your e-waste. 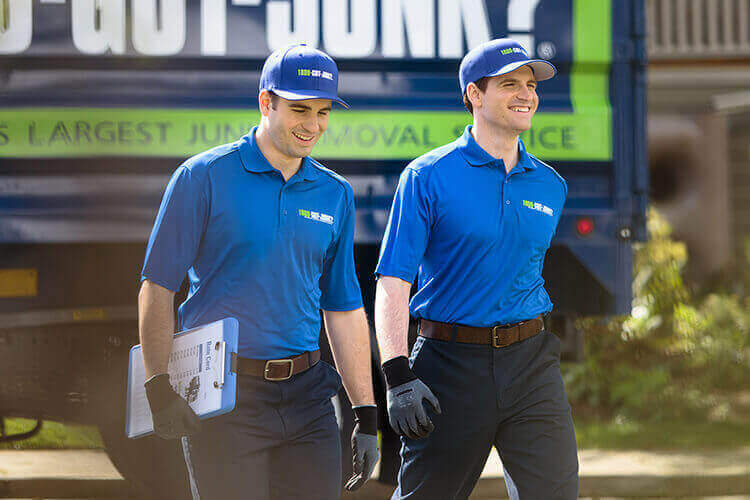 Our junk removal experts come right to your home or business and retrieve your unwanted items from wherever they are, and then dispose of them in a way that is safe and environmentally responsible. Don't Throw Away that Old Computer! Old electronics contain wiring that have heavy metals like mercury and zinc, which can leach into the soil and contaminate plants, wild animals, and even our local waterways. This can hold dire consequences for the members of our community, but there's more. If you're like most people, you use your computer and mobile devices for shopping and banking. Often, much of your personal information is stored and is easily accessible. In the wrong hands, this can make you vulnerable to identity theft. For these reasons, your old electronics should never be taken to a landfill. We love Perth, which is why we're committed to doing our part in keeping our community beautiful by contributing as little as possible to the local landfill. After we've collected your e-waste, we take everything to a local recycling facility. We never take your old computers, televisions, and mobile devices to the landfill. Our process is easy! Simply give 1-800-GOT-JUNK? a call or check out our easy-to-use online booking tool to let us know how much junk needs to go and to schedule your two-hour service window. We'll give you an upfront estimate to give you an idea of what our service costs. Upon arrival, we'll evaluate how much needs to go and provide you a guaranteed, no-obligation written price quote. We'll gather your e-waste and other unwanted items from wherever they are on your property; just point and junk disappears! Then we'll be on our way, letting you get back to your day. When you're ready to get rid of your old computer, television, or mobile devices, contact 1-800-GOT-JUNK? or use our online booking tool to schedule your two-hour service window. We can often provide service on that very same day, making it fast and easy to get rid of your e-waste. We're in your neighbourhood, so give us a call today and show us what we're up against!